From the year 1780 she was from the Alsatian community Riquewihr originating winemaker Johann Michael Ortlieb (1730-1807) exported to Baden-Wuerttemberg and named there among other things after him as Ortlieber. 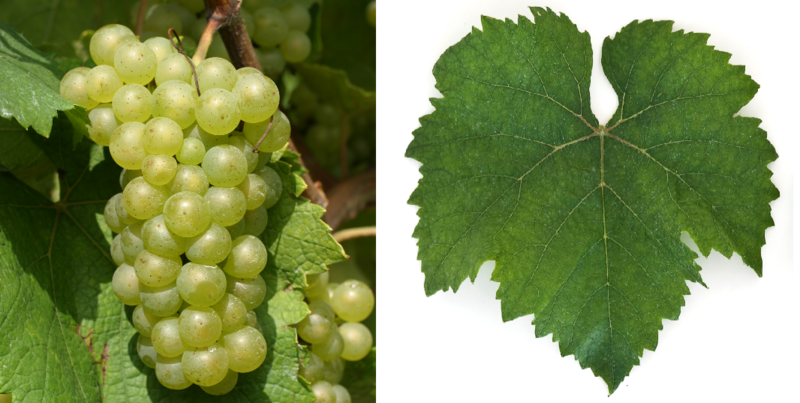 The medium-maturing, high-yielding vine is resistant to winter frost but prone to Botrytis and chlorosis, It produces gentle, simply textured white wines. After a peak towards the end of the 18th century, the stock continued to decline. Today the variety from the Alsatian and Württemberger vineyards has practically disappeared. In 2010, only 0.2 hectares were reported in Alsace (Haut-Rhin). In Austria she is from the organic wine Alois Raubal in Gumpoldskirchen (Thermenregion) cultivated. This page was last modified at 16 December 2018 at 11:54.